Lives of the Saints (and people who lived saintly lives) #6 is out now! 28 pages! 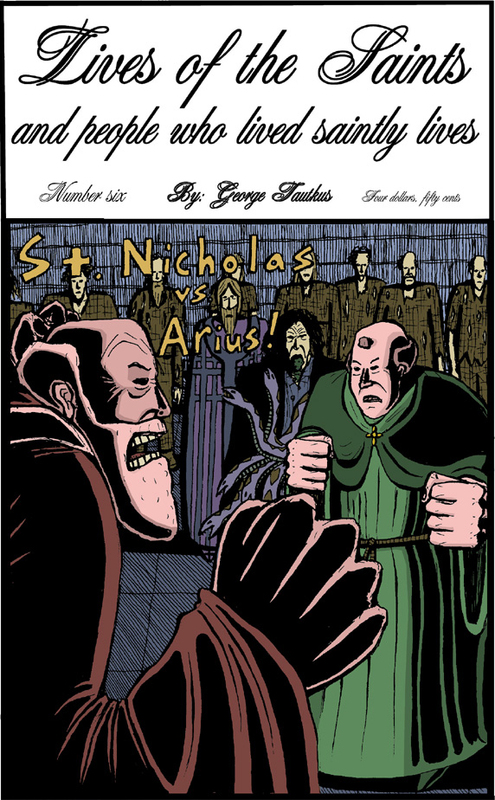 Features the famous story St. Nicholas vs. Arius! Also features Silent Night, Fr. Anchieta's Discovery, 3 Hail Marys, St Vincent Ferrer and the Execution. Color cover! Just in time for Christmas!